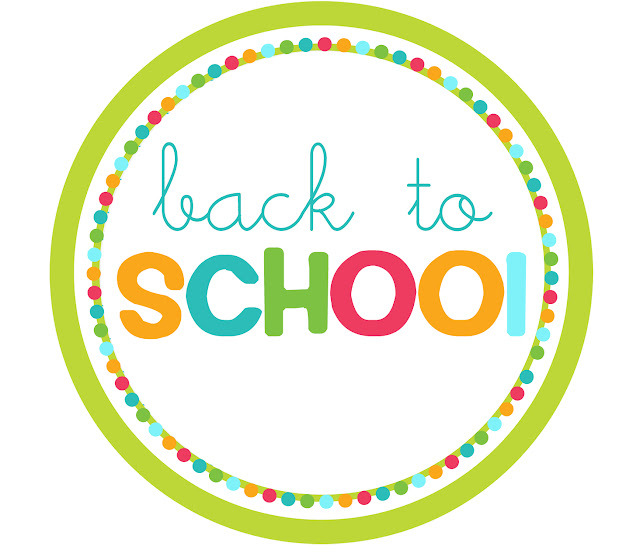 Welcome your favorite teacher back to school with this colorful freebie! What cuter way to say "Hi!" to your new teacher than to bring a sweet gift to start the new school year off right. These cute paint pails were found at Hobby Lobby, and we just attached some colorful ribbon scraps onto the handle for an extra burst of color. Attach the back to school tag found below. Fill with your favorite back to school supplies. Some other fun ideas: hand sanitizer, band aids, sharpie markers, gift certificates (Starbucks and Chik-fil-a are always teacher pleasers), post it notes, stickers etc. We filled this polka dot container (from the dollar section of Target) with travel aisle items. Making this a perfect first day gift for under $10. Just right click and save the image below. 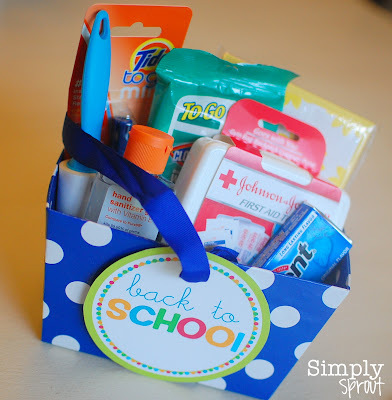 Use it to welcome your students or for back to school treats for teachers. It would even be fun for a back to school countdown chain for your young ones. Just add paper chains (5in x 1in strips of paper, glued or taped one to the next) to count down to the first day of school. If you love our freebie check out the entire kit in our online store. Very cute! I think I will be putting these together for my girls teachers. You are a featured favorite on Saturday Show & Tell on Cheerios and Lattes this weekend! Thanks again for sharing!